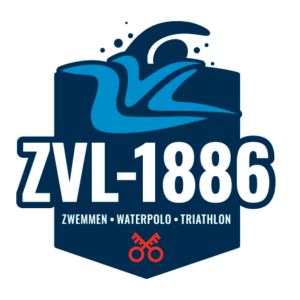 With more than 100 members, the triathlonclub ZVL-1886 is the one and only triathlon club in the area of Leiden and Leiderdorp. The club is part of the larger association ‘ZVL-1886’ which also includes a waterpolo division, competitive swimming as well as it provides swimming lessons for children. While most of the athletes are Dutch, there are a number of international athletes who are active members of the organization. New! ZVL-1886 triathlon recently started a youth division! Childeren from ten years and older are welcome to join us. Between the period of May and July we also train in an outdoor 50 meters pool on Tuesday from 19.00 to 20.00. In addition, during the summer, most athletes will arrange to go swimming together in open water at locations like the lake Vlietland or de river Dwarswatering. There are two running trainings. The first one takes place on Wednesday from 19.30 to 21.00 on an athletic track. This sessions are mostly focused on interval trainings to build speed and technique. This training officially ends in the summer holidays of July and August, however the track is available and sometimes trainers organize extra trainings also during this period. During the winter seasons, between October and April, we run in the beautiful dunes in Katwijk from 10.00 to 11.30. Here the focus is more on building strength. Our club is also present in the official NTB competitions organized in the Netherlands. The club has two men team, respectively in the 1st and 3rd division, and one women team, also in the 1st division. The official race season starts at the end of April and ends in September. Each team participates with four athletes in five races around the Netherlands. The format of the race can vary from individual races, team races and relays. Beside trainings, we organize a number of activities. This goes from swim analysis, club competitions, dinners and the yearly training weekend. During training weekend (usually in April) a group of 30 to 40 athletes goes from Friday to Sunday to a location in the Netherlands for an intensive weekend of swimming, biking and running. A great opportunity to socialize with the other team members while preparing for the upcoming races. The costs for some of these activities, although partially sponsored by the club, are extra and therefore not included in the monthly contribution. Every year, the club gives the opportunity to its members to buy, at very reasonable price, the club sport clothes that they need for training and races. We offer a large selection of clothes, from running t-shirt and cycling pants, all the way to tri-suits. In addition to the contribution to the club, recreatif and wedstrijd members are obliged to purchase an NTB basic license. This gives them insurance during the trainings activities (in addition to a subscription to the bi-monthly magazine Transition). The purchasing of the license goes via the club. Athletes that regularly participate to races are advised to puchase a complementary Athlete license, which eliminates the obligation to buy a day license during race day. Have you enjoyed the one week training and you have now decided to become a member? Fill in the following form (Dutch only).